As the mercury heads lower, concerns grow among countrymen over further air pollution. Air quality across the country has marked a significant fall over the years with the overall air pollution recording an alarming rise during the winter. Widespread effects of air pollution on human health and environment have indeed made it an issue of concern. One finds it difficult not to worry about the air quality when one sees Bangladesh ranked 179th out of 180 countries in the 2018 Environmental Performance Index (EPI) on air quality. Against this backdrop, a United Nations Environment Programme (UNEP) report came as a sigh of relief recently suggesting that millions of lives could be saved and one billion people living in Bangladesh and some other Asia-Pacific countries can breathe in clean air by 2030, if some simple and cost-effective measures are implemented. The Asia-Pacific region accounts for one-third of global air pollution-related deaths. About 4.0 billion people -- 92 per cent of the population in the region -- are exposed to the level of air pollution that poses a significant risk to their health. In Bangladesh, its capital Dhaka and adjoining areas face a massive increase in the level of air pollution during the dry months of winter -- from October to March/April -- with February being the worst month when scant rainfall makes matters worse. Experts think this is caused by brick burning in at least a thousand kilns around the city during that period of the year in addition to continual exhaust fumes from the over-congested roads. The government has, however, identified construction work as well as vehicles running on fuels with high levels of sulphur alongside brick kilns as major sources of air pollution. Experts consider the particulate matter as the air pollutant that's most harmful to public health and environment in Dhaka when compared to other measured criteria of pollutants. Earlier in the last week of January, Dhaka scored 556 in the Department of Environment (DoE)'s AQI (air quality index), which has been labelled 'extremely unhealthy,' with air in Narayanganj being identified as the most polluted with a score of 565. Chattogram scored the lowest at 174 with the city's air still categorised 'unhealthy'. With AQI scores of 264 and 274, air quality in Sylhet and Barishal respectively was tagged 'very unhealthy'. Even air quality in Gazipur, Khulna, and Rajshahi was dubbed 'extremely unhealthy' due to a high level of pollution. Back in 2016, Bangladesh experienced only one day in a week of good air quality on an average. DoE data revealed that the country experienced 51 days of 'extremely vulnerable' air quality. There were also 54 'very unhealthy' and 30 'unhealthy' days, 67 'caution' and 88 'moderate' days, and only 59 days where the air quality was deemed to be 'good'. A World Bank (WB) report said air pollution kills 15,000 people in Bangladesh every year. It found two major sources of air pollution here -- vehicular emissions and industrial emissions -- which are mainly concentrated in the cities. Besides, the traditional brick kilns active across the country now exceed 8,000, which are deemed the major air pollution sources. Also, the report said exposure to air pollution led to strokes, heart attacks, lung cancer, and chronic lung diseases -- causing many of those premature deaths. The effects are so alarming that five among the top 10 causes of death in Bangladesh have been linked to air pollution by WHO. Health hazards -- Bangladesh and beyond: The National Institute of Diseases of Chest and Hospital (NIDCH) says nearly seven million people in Bangladesh suffer from asthma with over a half of them being children. WHO says PM10 and PM2.5 can penetrate and lodge deep inside the lungs. Chronic exposure to particles contributes to the risk of developing cardiovascular and respiratory diseases, as well as lung cancer. Among the top 10 causes of death in Bangladesh, five of them -- lung cancer (13 per cent), lower respiratory infections (7.0 per cent), chronic obstructive pulmonary disease (7.0 per cent), ischemic heart disease (6.0 per cent), and stroke (5.0 per cent) - are related to air pollution. On the world stage, nearly 7.0 million people die prematurely every year from air pollution-related diseases. Hence, countries like India (air quality score of 5.75), and Bangladesh (4.12), which scored poorly in the 2018 EPI on air quality, face a public health crisis that calls for urgent attention. World's most polluted city: On January 30, 2018, Dhaka topped the list of US' AQI for having the worst air quality globally. The AQI termed Dhaka's air quality extremely unhealthy, as the city consistently ranks between 301 and 500. The AQI is divided into six categories -- indicating increasing levels of health concern. An AQI value of over 300 represents hazardous air quality and below 50 indicates good quality. The index is based on five criteria of pollutants regulated under the Clean Air Act -- ground-level ozone, particulate matter, carbon monoxide, sulphur dioxide, and nitrogen dioxide. The DoE also conceded, there is no denying that the quality of Dhaka's air is quite dreadful. SDGs and air pollution: Air pollution is both, directly and indirectly, related to numerous sustainable development goals (SDGs) and targets although there is no specific sustainable development goal (SDG) dedicated to air pollution. The problem is, however, mentioned in two targets under SDG3 (Target 9: By 2030, substantially reduce the number of deaths and illnesses from hazardous chemicals and air, water, and soil pollution and contamination) and SDG11 (Target 6: By 2030, reduce the adverse per capita environmental impact of cities, including by paying special attention to air quality and municipal and other waste management). The impacts of air pollution on ecosystems are also related to SDGs 7, 9, 11, 12, 13, 14, 15, and 17. Government actions: The government in recent years has been working to reduce the PM emissions by bringing in lower sulphur fuel, improving the mobility of vehicles, and introducing new technology, which is still under consideration for brick production. Also, the DoE, in collaboration with international NGO Clean Air Asia, has initiated a project to reduce black carbon from heavy-duty diesel vehicles and engines in order to achieve a pollution-free environment within a certain period of time. The government, under the scheme, has been considering using low-sulphur diesel in vehicles and engines. To introduce low-sulphur diesel, the government has been preparing a roadmap that will work as a guideline to cut the use of high-sulphur content energy. The government actions notwithstanding, pollution from solid fuels, coal and crop residue burning, and emissions from motor vehicles continue to severely degrade the air quality for millions of people. The pervasive social and environmental impacts of air pollution thus make it an important marker for sustainable development across the levels of economic development. A joint study by WB and US-based Institute for Health Metrics and Evaluation (IHME) shows that economic expansion contributes to higher pollution levels. Perhaps that's the reason why pollution has been severe particularly in countries like China, India, and Bangladesh, where greater levels of economic development contribute to higher pollution levels. As breathing in clean air, the most basic human need, has become a luxury these days, a number of tried and tested solutions can be put in place to solve this problem. 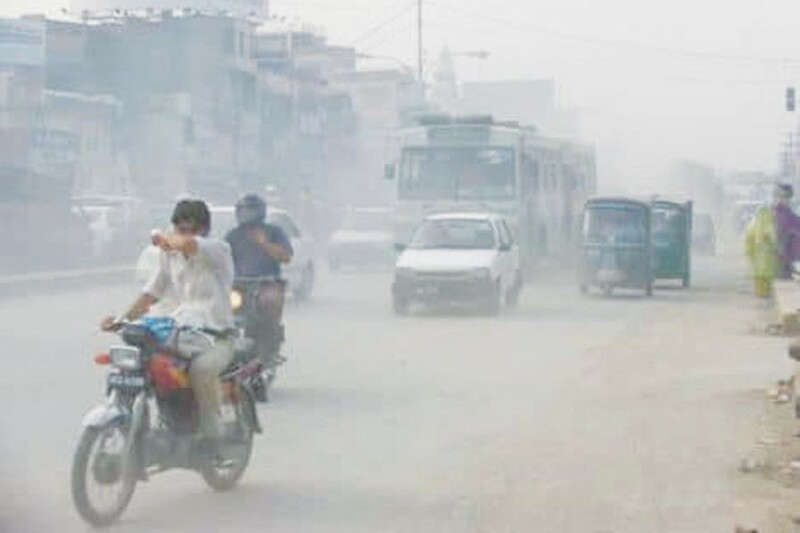 DAE says air pollution can be minimised during dry months if authorities concerned like city corporations and Bangladesh Road Transport Authority work together. Besides, the UNEP report titled 'Air Pollution in Asia and the Pacific: Science-based Solutions' reveals that reductions in outdoor air pollution from its 25 cost-effective measures could reduce premature mortality in the region by one third, and help avoid about 2.0 million premature deaths from indoor air pollution. This will also result in a 20 per cent reduction in carbon dioxide and a 45 per cent reduction in methane emissions -- preventing up to a third of one degree Celsius in global warming. But effectively implementing these air quality measures may cost $300 billion-$600 billion per year. Still, it's not only good for health and the environment, but it can also boost innovation, job creation, and economic growth. A basket of co-benefits will also ensue, including savings on pollution control. The ball is now in the court of the government whether to take drastic actions immediately to curb air pollution following the latest UNEP report that identifies a solutions package with 25 cost-effective measures, which could contribute to achieving the WHO's Air Quality Guidelines and the SDGs while also delivering benefits for human health, crop yields, climate and the environment, as well as socio-economic development. The writer is Editorial Copy Editor at the FE.